Track your child’s milestones here. The goal of the Early Intervention Program is to help you to help your child reach his/her developmental potential. Early Intervention services are provided to help children grow and develop. Services are also provided to help caregivers care for these children. Any child from birth to age three with a developmental delay, disability, or condition that affects development may need help. 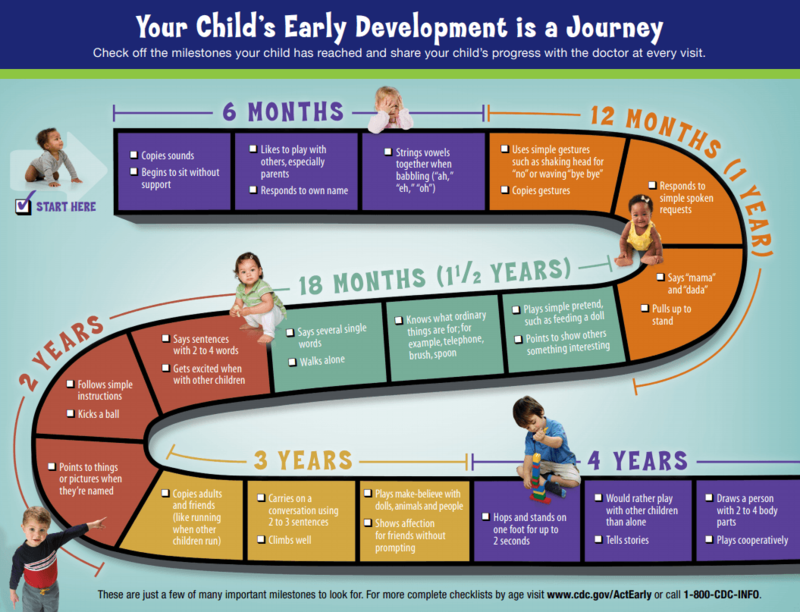 A checklist of children’s developments from birth to age three is available in the Early Help Makes a Difference! guide. You can review the Parent’s Guide to Early Intervention here. All service providers are employed by or contracted with Greene County and have been approved by the New York State Department of Health to provide services. There is no direct cost to you or your family for services authorized by the Early Intervention Program, even if your insurance company does not pay us. You do not pay a co-pay and your insurance company cannot change payments against an annual cap or lifetime reserve. To make a referral to Early Intervention please contact Lauren Clark at (518)719-3617. Your child must be a Greene County resident under the age of three. Your child may automatically qualify for this program based on certain diagnoses. Every child must have a developmental evaluation which can also qualify him/her for this program. You will choose who does your child’s evaluation and where it takes place. An Initial Service Coordinator will be assigned to assist you, answer your questions, and help you find services for your child. Are you the parent of a child with disabilities from birth to 12 years of age? (4) such other matters relating to early intervention policies and procedures within the municipality as are brought to its attention by parents, providers, public agencies, or others. Check out “On The Scene” in the Catskill Daily Mail Friday Edition for activities for children and families.